Samsung’s Galaxy S9 and Galaxy S9+, have been rumored for some time now and we, of course, always knew that they would be arriving at some point in 2018. What we didn’t know is when, and while rumors of January announcements have come and gone, it now appears that the new flagship smartphones will be announced in February, with availability beginning some point in March. If this announcement and subsequent release window turns out to be accurate, then it will represent the earliest that Samsung has ever done such a thing during a calendar year. Traditionally, Galaxy S handsets have been announced to the world in March with a release coming a few weeks later – often in April. 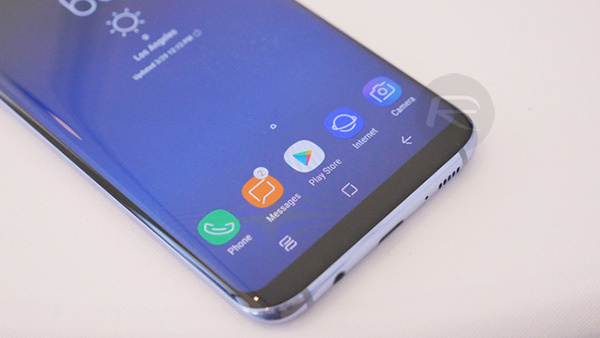 There have been lingering rumors that Samsung would buck this release cadence in 2018 to counter Apple’s iPhone X, and the latest round of rumors from Bloomberg would appear to corroborate this, although the dates have, of course, changed a little. As has been rumored already, the Galaxy S9 and Galaxy S9+ combination will be more of an iterative update on the current Galaxy S8 and Galaxy S8+ pairing rather than a revolutionary redesign akin to the iPhone X. This will be a disappointment to some, but with an upgraded CPU and a better camera, there will still likely be enough there to make an upgrade worthwhile if you don’t mind spending the money. We will have to see just how fast that newly announced Snapdragon 845 CPU is and how impressive the camera(s) will be, but we suspect the Galaxy S9 and Galaxy S9+ will sell well regardless – they are, after all, the flagship Android devices many look forward to and are the closest Android comes to an iPhone as far as hardware quality and design is concerned. Counter what? lol The iPhone 8 handily beats it performance wise let alone the X. The X’s camera is 2-3 years ahead of anything coming from Samsung. The 9 is a non story. .